Welp...Looks Like We Have To Reset The Sign, Guys?!? 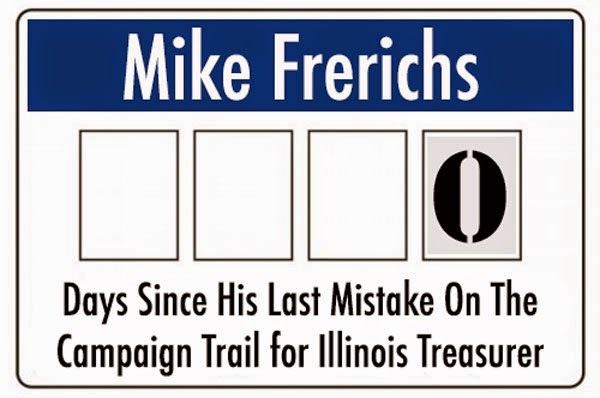 When Mike Frerichs couldn't get out of his own way in his response posted yesterday, we had to reset the sign here around the Truth Team office. We'd recommend taking a quick read of your statements BEFORE you email them out, Mike, Zach, and MCL. That way, you won't miss calling the Republican Party the "Republic" Party. Hey! But that's all in the past. We here at the Truth Team have our fingers crossed that you can make it through the day without a mistake, gaffe, blunder, what-have-you. If you do, we'll update the sign with a big, fat one.